Discover the cloud-based enterprise wide health care education system. Streamline on-site registration and manage completed e-modules, health screening or deposits management. Ensure compliance with applicable hospital policies to support affiliation agreements with universities and colleges. An all-encompassing health science information system servicing programs for undergraduate and postgraduate medical education, graduate studies, dentistry, midwifery, nursing and physiotherapy. Manage learners in your hospital with ONE solution. 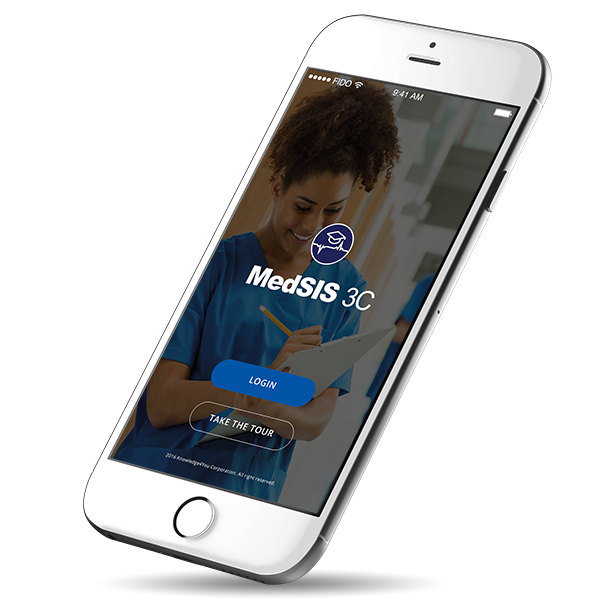 MedSIS 3C helps education administrators at every step of the learner life cycle and delivers tangible benefits along the way. Manage all Undergraduate and Postgraduate needs in one system. Choose from over 31 modules tailored for Health Science institutions. Secure access from anywhere to authorized staff. If you are not happy with our cloud-based solution, we will happily refund your License and Hosting fees during the first 60 days*. See how medical institutions of all sizes can save time, reduce errors, and lower operations costs. MedSIS 3C improves compliance with school, faculty, and government policies and regulations. * Setup costs, customizations, new developments, training or consulting efforts are not included.